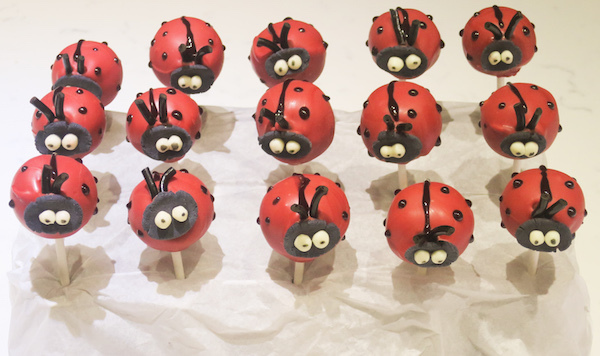 Ladybug theme is a popular birthday party or baby shower theme for summer. 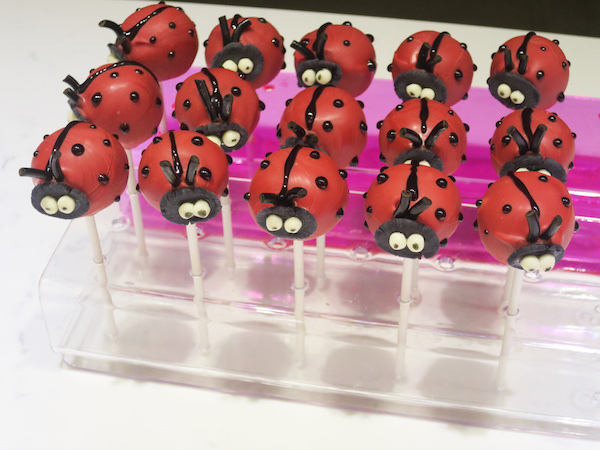 I’ve seen some amazing Pinterest boards with ideas ranging from decorations and clothing to appetisers and desserts and wanted to share my version of Ladybug cake pops with you. The cake balls are the same as used in the Bear Cake Pops, so I won’t repeat the recipe and will focus on the decoration part in this post. 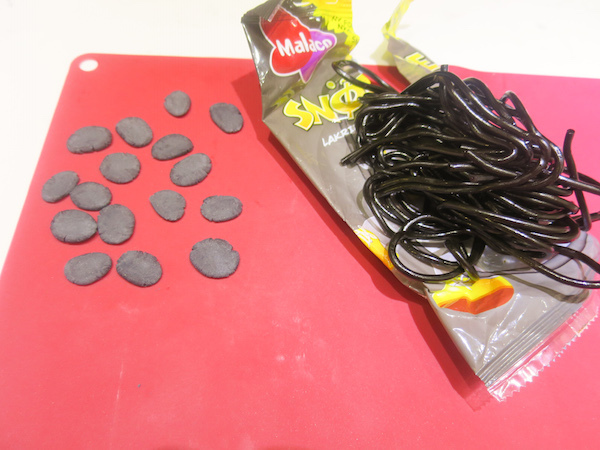 Roll the fondant into a 1 cm thick tube and cut into 3 mm thick pieces, press flat with a spoon. 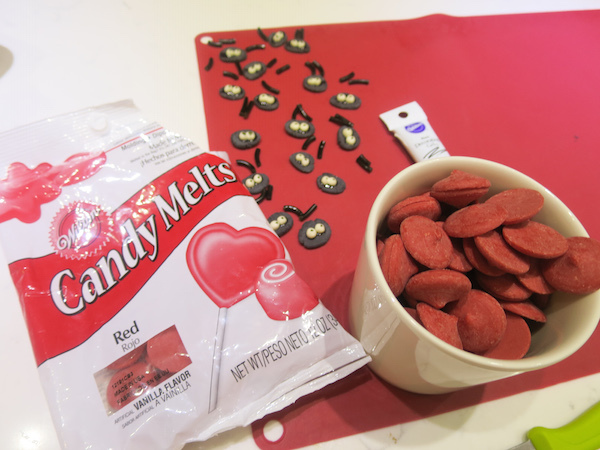 Place mini white chocolate balls in middle of the fondant using a drop of decorating gel as the glue. 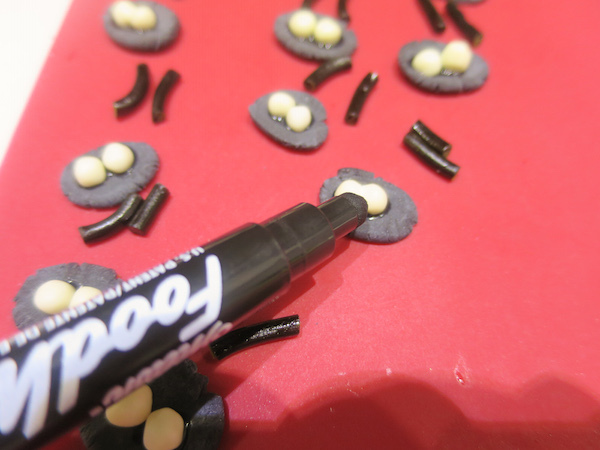 Draw pupils by using an edible black marker. Melt the candy melts and place in a cup deep enough to cover the cake ball. 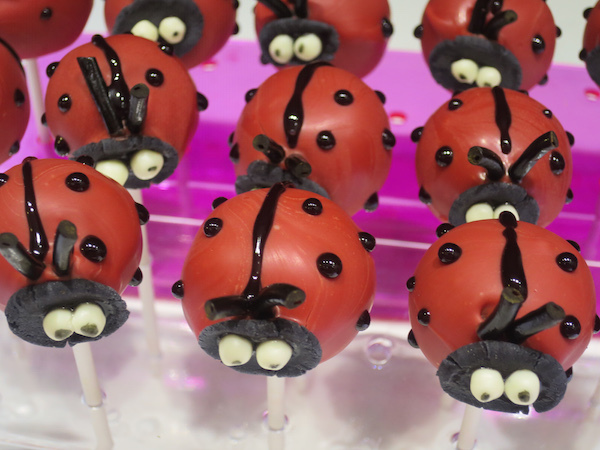 Dip a lollipop stick in melted candy melt and insert in the cake balls gently pushing up to middle so that you can feel it sits firmly on the stick. 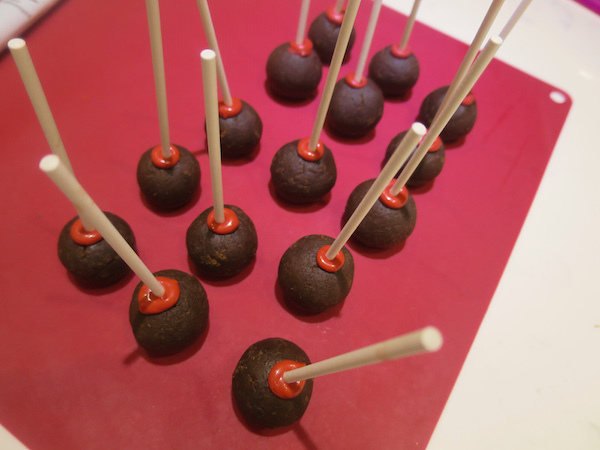 Allow the candy melt to harden before dipping the cake ball. 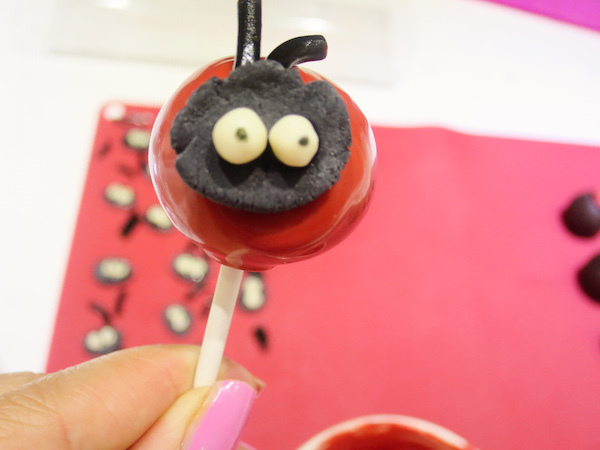 Carefully dip into red candy melt, tap off excess candy melt and place face and liquorice antenna. Using black decorating gel draw a line in the middle and spots on both sides. Place on a cake pop holder to dry.